For quite a while now we have been slowly but surely progressing in implementing the multiplayer logic and finalising changes to the game engine that we believe will significantly improve the overall player experience. And while getting closer and closer to the external testing I wanted to talk about many changes in logic of the game that make it so much more rewarding. So let's start with the logic and what makes the beta so different. Depending on their race and profession, your character will be allocated action points which can be used to interact with the game board during your character's turn. Starting action points of all characters are determined by their Dexterity attribute. Some actions may require more than 1 action point and some can affect the remaining action points value (potion of haste etc). 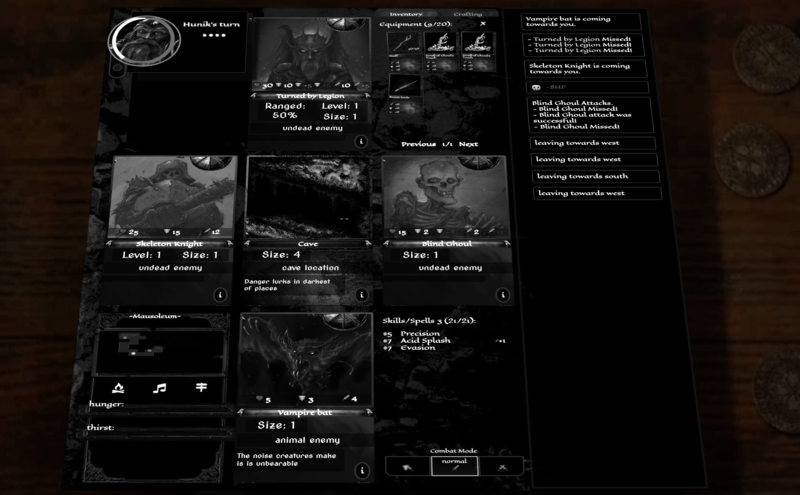 To indicate that another player's turn is in place the game board will become greyed out; their portrait will be displayed over player's character card along with their name, remaining action points and real time countdown of their minimal turn time allowance. When a character uses up their final remaining action point the turn passes onto the next active player who's action points will be replenished to their max base value. When last player in the queue spends all their action points, the enemy and the NPC's turn is processed and new turn begins with player 1. Regardless of the amount of action points the player has only 30 seconds to spend their action point allowance. After that time passes, the next player in a queue will have an ability to take over/ claim the turn which will immediately truncate previous players remaining action points to 0. Allied player may choose to allow their companions some additional time for their turn whilst opponents will likely take their opportunity to best the unresponsive player by limiting their time strictly. 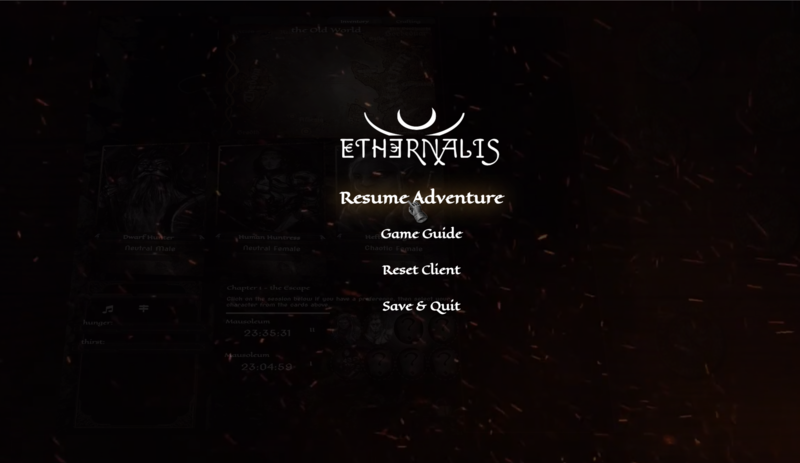 Ethernalis' engine divides players, into matches of 4 players per session to ensure smooth and dynamic turn based gameplay. During session, other players may join the game as long as the total number of 4 players is not exceeded. Clicking on their portrait will display the interaction options your character has with their character (communicate, attack, trade) whilst clicking on your own will toggle the display of your character card. If during other player's turn their character interacts with players location any changes to game board will be updated on your screen immediately and description of their actions will be shown in the game log. Location's size is described by a number between 1 and 4. This property determines how many cards may generate around the location card on the game board. 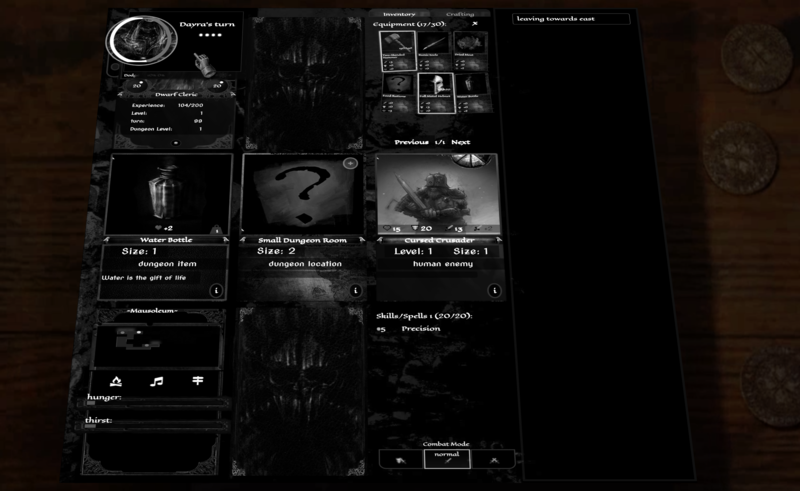 Enemy cards occupying location will additionally show the distance (melee counter) from the player's character based on their location against the direction from which the character has entered. This means that if your character entered the location from the East; the Western card (on the left of the location card) will be assumed to be located at a greatest distance and the East will be assumed to be the closest. 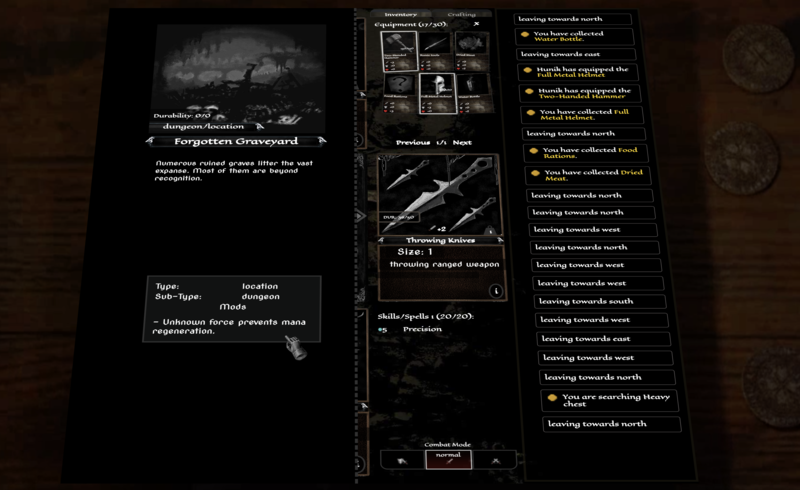 Ranged attacks can only be made on creatures whose melee counter shows at least 1 point of distance and melee counter does not exceed the range of the weapon used by player's character. Containers such as chests or barrels can now contain more than one item card. The maximum capacity of the container describes the maximum weight of the loot contained within. 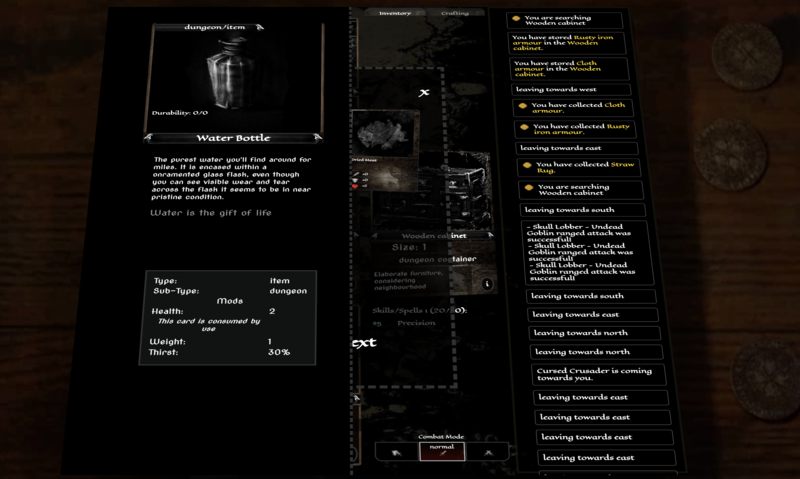 This allows players to make a better assessment of the the container can possibly offer (larger items can only be stored in larger containers). 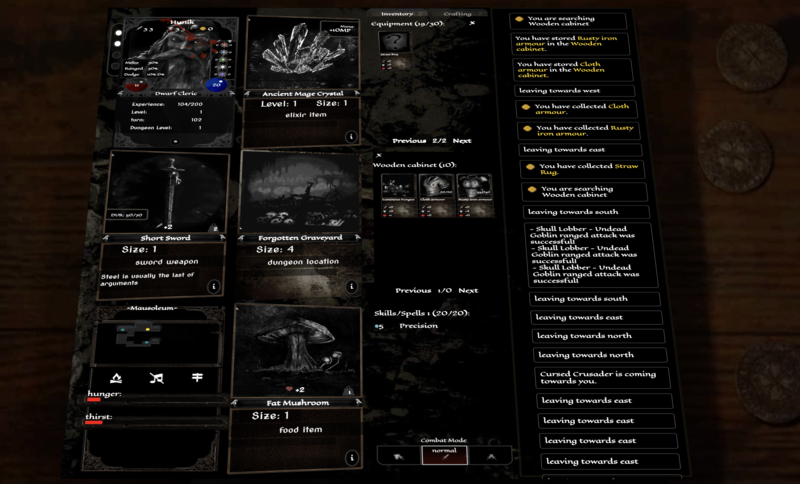 Interacting with a container costs an action point and changes the display of the player's UI to display its contents. Only one container can be active at one time for each player and the drop action performed on inventory cards will assume the active container as the default target of the transfer. Containers may be locked. Locked container requires a dedicated key to open it to become accessible. These keys can often be found in other map locations. Some enemies will now have ability to move between and within location. This means that enemies can chase or run away from the player character. As well as wonder onto them from other map locations. 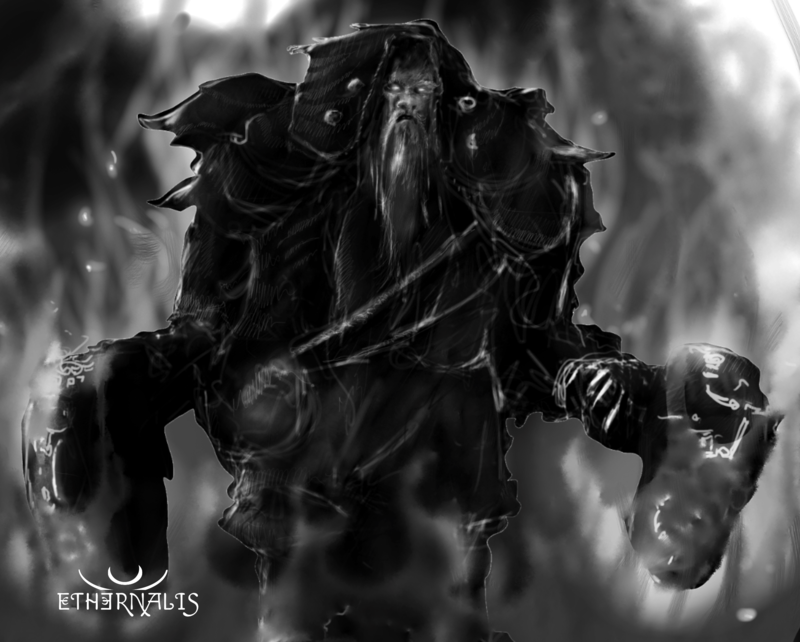 Ranged enemies will often choose to maintain their melee counter distance points from player's character instead of attacking the player using melee attacks. Flying enemies will be able to maintain melee counter points regardless of their assumed position within location. As part of the UI improvement we have added game Menu that can be accessed by pressing [Esc] key any time during the gameplay. We have changed the fonts, to make the contents of the cards more readable and changed the information displayed on the card based on the mode in which the user's view is. In zoomed mode the card summary information is replaced with the more detailed description of the card. Beta will also include a lot more detailed information about the properties of all items in a more standardised way. 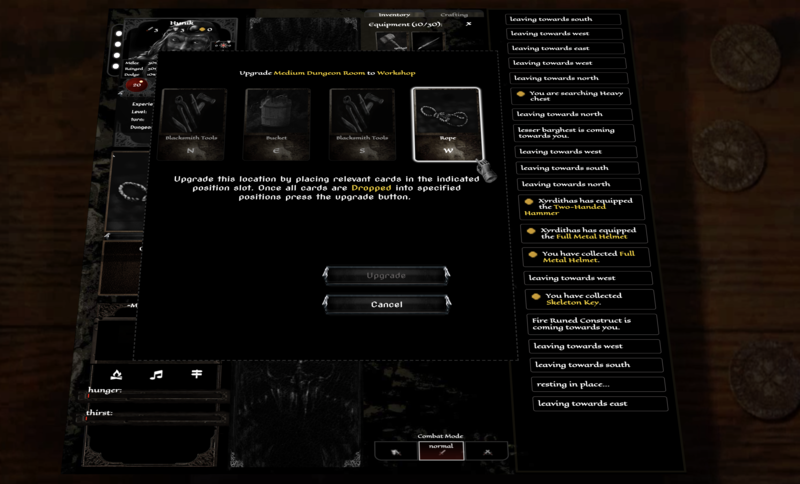 Each card has an info screen which will give player the access to it's properties. Some locations can be upgraded and transformed into advanced locations providing characters with an array of positive and negative effects. - prevents magic: spells cannot be cast at this location. One location can apply any combination of these and advanced locations tend to offer multiple modifiers. Some locations may provide additional perks such as enable crafting recipes or improve crafting success rate. Advanced locations may sometimes be further upgraded with more demanding upgrade conditions offering more powerful benefits. Characters will have a small percentage chance to land a critical hit using any melee or ranged weapon. The initial value is based on dexterity and when it happens the attack will completely ignore the Enemy's defence.